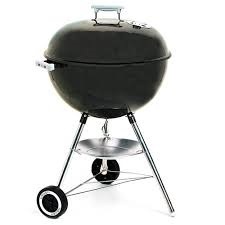 The Weber-Stephen Products LLC is a privately held American manufacturer of charcoal and gas grills, grilling accessories and other outdoor room products, primarily under the Weber name. In 2004, Weber-Stephen acquired competitor Ducane, which markets high-end gas grills. It also operates four restaurants located in Illinois and Indianapolis, and publishes grilling-related recipe and cook books. The company was family owned, but sold a majority stake to BDT Capital Partners in 2010.